So I wrote a bit about this in the about me page but I’ll give a more detailed history of my IM (Internet Marketing, in case anyone did not know) experience here for those who are interested. I know one of the greatest motivators for me was when people showed me REAL success and ACCURATE earning reports about their IM. 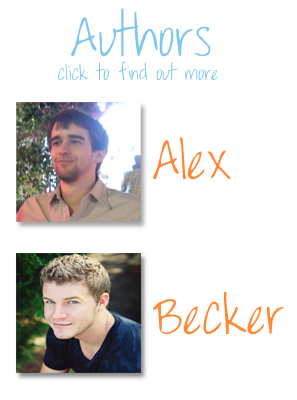 So to start off with, if you did not read my about me page I am Alex and I started IM a few months after meeting Dave. At first when he told me he was building websites and making (at the time, hes now in a lot more areas of IM such as CPA offers and affiliate mkt) most of his money from google adsense. Of course I had SEEN adsense ads all over the internet but NEVER would I have suspected a simple looking dude like Dave (actually, I learned hes much more smarter about IM than I initially believed) could actually be making a living off of this. At the time I probably believed that you needed to be the owner of some major 100k+ a month traffic site to be able to make a living off of the internet. Anyway, after a few months I decided dammit I’ll give it a shot too! and I started my first niche website at the end of february. The first months were quite slow but I was working on my website and going to college full time and feeling quite enthusiastic about the whole idea. Here’s a brief rundown on my adsense earnings which are still to this day about 80-90% of my earnings, but I’m slowly going to go into other areas such as CPA and amazon. 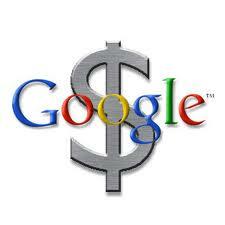 December = $2300 My adsense income for the first time did not go up in december which I found VERY odd at the time. However, that month I started making decent money off amazon and clickbank, around $100 each so my real total is around $2500. If you have any questions feel free to leave a comment, I’ll probably be posting about my methods shortly and giving you guys updates for 2011 on a monthly basis. Hi. just saw your post over at BHW. am a newbie myself and hope to learn some tips from your new site. congrats for having made it in IM. hope you avoid getting banned again from G. It realy is also my aim to earn online. I don’t know whether it would be more difficult for someone from Asia (like me) to earn as much as you do. cheers! Depends how good your English is. If it’s bad i would stay away from then English market and do something local. If it’s good then it shouldn’t be a lot more difficult. I can see some obstacles for you in the future but nothing major. Ya I guess so, though that’s not a very accurate number to look into because that’s my websites combined in multiple niches. Some get really high CTR’s (25%) while others are more of passion websites and while they only get a lower ecmp of $20-25 I still love working on them. Thanks for the answer.It’s actually 3 cents if the diagram is correct.So if I have 1 site with 100 000 page views per month I should get at least 2-3 k.Or if they don’t click on the ads there’s no $ for ad impression only? Becker is posting this to create social proof. Besides the fact that he only became an author in August and back in February was not making money online (as far as I know). ~10? 80% of my income is from 3 websites. Alex,Very cool story I can’t wait to see your methods. I mean from where I am, If I could make 25-30 $ a day, I can manage to support myself =)), I mean seriously ! Any suggestions ( should I make a new request on a family member or wait for the approval ) ? That’s really long… Before making another request I would suggest you try a different approach and make a few hubpages and then use hubpage to ask for an adsense account after they have been up for a while. We do have some monetization, some of the links to services are affiliate links so we do get a % off some sales. Our goal is to only promote stuff we actually use and have tested to work well since one of the reasons I wanted to do this site was all the “fake” IM blogs were people promote and review tons of products and they are somehow always good. Sure they will put a few “negatives” about the product but ultimately they will say something like “despite these points you should still get it !!!!”. That pisses me off. Lots of money wasted on IM products since you can only trust a few review sources, I trust myself and my tests :P. But also a few other IM people I know who wont just send me the link with their affiliate links unless they are sure it worked well for them). True,true, thanks for the answer … I’m a little pissed off because I can’t monetize my current blog ( properly ) and I get anywhere from 20-60 clicks on amazon but kinda bad conversion, like 2-5 intems / week and the commisions are a few bucks. I like how you think about the IM, it’s kinda full of BS and scammers, that’s why I haven’t spent a $ on any product ( well domain and hosting ), and I have like 100 gb of good courses and no time to learn. Well I noticed a shi**y pattern in every IM course. The speakers almost every time keep you in the course with like 30 minutes introduction and a few points and will tell you something valuable/what you can use in the last part and the valuable information is like a 5-10 minutes from the 1 hour video. PS: How much is “a while” in your oppinion before I can submit another request, and the new request should be with another contact details? I did a request with one account which got problems so I asked again with another gmail account and got accepted within 1 week. I think it’s been long enough so either try again right now or play it safe, build a few hubpages and ask in 2 weeks or so. And yes, I personally did NOT spent much (probably under $100) in the first 4 months of doing IM. I think I only paid for hosting and about 7 domains.There’s great information everywhere to get you started and yes, ppl do like to waste your time in products. Fingerman is the opposite, he likes to invest and try out many different products and services constantly. I do not buy any IM course that is above $50, products on the other hand.. so far my most expensive was AMR I think. I’ll probably change the articles once me and fingerman get back home (2 more weeks in miami) with comfortable chairs since you are right we are getting a lot of questions. Hello Alex, i have noticed high increase in earnings in September, October and November. Can you tell what were you doing? Were you uploading loads of content or building loads of backlinks? A lot of things but I basically understood how to do backlinsk by august. So the efforts I did in august were reflected in september+. I could not find any Fingerman content so sorry, Alex, to put this here but I figure it’s most related. @Fingerman, you mention you are now making ~500$ per month–how many sites is that (it sounds like you have a lot of small niche sites) and how do you monetize them? I know nothing about websites or adsense. I work security so I have a lot of free time. Maybe I could use that time to learn about this stuff? Since I don’t know jack and don’t understand a lot of the words you guys use what would be the best way for me to start? I learned all this while having a full time job so it’s definitely possible you just need to be motivated and put time aside. I think our guides are pretty good in combination with some of the other SEO guides out there. Keyword research can be quite hard to understand but you just have to try it. Just try out many keyword searches and put the info in niche refinery and see what you get. TKA (keyword academy, that I mention in my other posts) might have some other basic knowledge that you could want. If you use our TKA link which is our affiliate link (we get a 30% cut, same price for you) I’ll gladly help you along the way, first month is free anyway so I would suggest if you are not confident with our information to try SEO and monetizing websites to just give their first month a try to at least read their information. Alright, thanks. I’m in college also. When I get started I’ll hit you up. Alex would you care to share your backlink building methods? read the backlink guide we wrote a few weeks ago, it’s pretty much all I do. You speak about raffinery tool. I use Market Samurai to make some keywords researchs. Can you explain us what is exactly the difference between these two tools ? Look at my keyword research post, that should help you see the difference. Market samurai is good if you are used to it but nowadays I use niche refinery for everything. That is a huge surge of income from July to August. Well, my stats are January – 0,43 bucks (my clueless month), February – 2,17$ (I think I joined TKA from your link in the middle of it, on 20th or something), March – 15,26$. Funnily, one website out of four had 120 impressions, 20 Amazon referrals and made 0 dollars. I have been doing IM for 3-4 months now, with little result and almost no idea to which direction to go. After reading and watching only a few videos and articles, I have a better sense of direction. Keep the content coming.